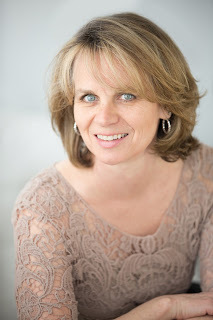 This Monday we’re thrilled to have Alison Ragsdale joining us on the Pict blog to talk about her novel A Life Unexpected. 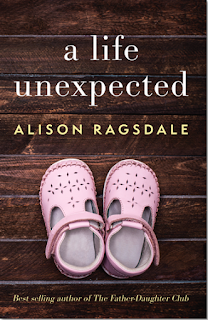 So Alison, what inspired you to write A Life Unexpected? I love to write novels that delve into family dynamics, the psychology of relationships and the complexities of everyday life. I strive to write in a way that allows readers to closely relate to the situations and the characters by making them accessible. The notion that a successful woman, in her late 30s, could discover, after a seemingly innocent question from her daughter, that the foundation of what she knew about her past was incomplete, was intriguing. Once I'd started down that path I wanted to create a story that addressed some of the realities of adoption and the effect that has on parent-child interactions, from every angle. Where is A Life Unexpected set? It is set in the north east of Scotland, specifically in the city of St Andrews and the picturesque village of Braemar. All my novels are set in Scotland, my homeland. Although I now live in the US, the connection to home is strong and I’ve tried to capture the essence of Scotland, the breathtaking scenery and the strength, humour and heart of the people in my writing. It can be easier to write about a place – to capture the nuances of living there – once you've left and are looking back. I'm most conscious of how British I am when I'm abroad. Who is your protagonist and how did you create them as a character? Eve Carruthers is my protagonist. A 38-year-old wife and mother, she is a careers counsellor at a prestigious University. She isn't based on any one specific person, but rather on the amalgamation of the characteristics of several amazing mothers I know, taking in the complexities of the relationships that exist between them and their daughters. As I wrote this novel, Eve evolved from an intelligent but rather insecure woman into a more confident individual who, after years of allowing her protective husband to guide her through life's challenges, finally takes the wheel, so to speak. I grew to like her more and more as she grew into herself. This growth you refer to, I think, is the number one reason why we have to edit. By the time we've finished, the character in Chapter 1 is a mere shadow of the person you've ended up creating. So how long did the process take from start to finish – from idea right through to publication, including all that character development? This book, from the initial outline to publication, took 18 months. The fourth I've written, it was one of the easiest to complete – initially. However, once I'd typed "The End", as is often the case, the hard work really began. I am lucky to work with some superb editors who challenge me to dig deep and build believable characters. By the third draft I wasn't sure that I'd achieved that, so I set it aside and worked on another project for a few weeks. When I came back to it, and re-read the manuscript for the umpteenth time, I found that I liked the imperfect characters, warts and all, and so was ready to call it complete. I'm sure most authors would agree that every single time we read our own work, we see a multitude of areas that could be improved upon, enriched, edited out or emphasized. The difficulty, as was the case with this book, can often be to say "enough now". Agreed. Letting go of your baby is the hardest thing. Taking a step back is difficult, but makes a lot of sense. Have you learned anything about yourself or your writing during this process? With every book I've written I learned something new. I've always considered myself a horrible procrastinator. Why do today what can be put off until tomorrow, right? 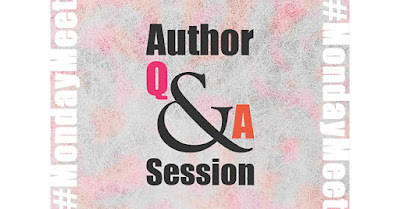 As each book evolves I've learned that when I'm really invested in the process, putting myself into the shoes and under the skin of the characters I create, that tendency disappears. I can lose hours, literally, when I'm fully engrossed in writing and that feels like such a gift I never want lose sight of that fact. 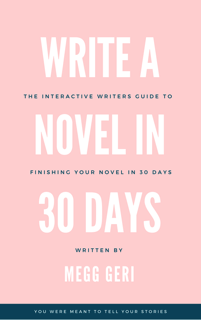 Do you have any writing routines that help you deal with the initial procrastination? I am a peripatetic writer in that I have a lovely desk that looks out over my garden, but I tend to write in various spots around the house. I often want to snuggle up on the sofa, typing awkwardly over the muzzle of my sweet dog who lies next to me. Always a Brit! And who can write without their own personal supply of caffeine to hand? Thank you Alison for taking the time to talk to us today. We look forward to catching up with you when your fifth book is ready for release.